Today, 1913 is inevitably viewed through the lens of 1914: as the last year before a war that would shatter the global economic order and tear Europe apart, undermining its global pre-eminence. Our perspectives narrowed by hindsight, the world of that year is reduced to its most frivolous features-last summers in grand aristocratic residences-or its most destructive ones: the unresolved rivalries of the great European powers, the fear of revolution, violence in the Balkans. 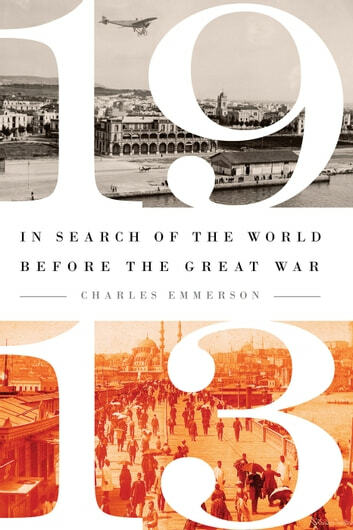 In this illuminating history, Charles Emmerson liberates the world of 1913 from this prelude to war” narrative, and explores it as it was, in all its richness and complexity. Traveling from Europe's capitals, then at the height of their global reach, to the emerging metropolises of Canada and the United States, the imperial cities of Asia and Africa, and the boomtowns of Australia and South America, he provides a panoramic view of a world crackling with possibilities, its future still undecided, its outlook still open. The world in 1913 was more modern than we remember, more similar to our own times than we expect, more globalized than ever before. The Gold Standard underpinned global flows of goods and money, while mass migration reshaped the world's human geography. Steamships and sub-sea cables encircled the earth, along with new technologies and new ideas. Ford's first assembly line cranked to life in 1913 in Detroit. The Woolworth Building went up in New York. While Mexico was in the midst of bloody revolution, Winnipeg and Buenos Aires boomed. An era of petro-geopolitics opened in Iran. China appeared to be awaking from its imperial slumber. Paris celebrated itself as the city of light-Berlin as the city of electricity. 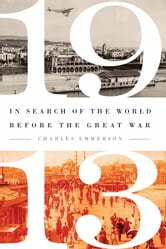 Full of fascinating characters, stories, and insights, 1913: In Search of the World before the Great War brings a lost world vividly back to life, with provocative implications for how we understand our past and how we think about our future.